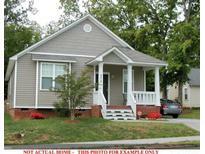 Find Gastonia, NC New Homes for sale. View Photos, Maps and MLS Data Now! Final Sales price may vary and will be based on the overall cost of the home with all features selected. MLS#3473548. Keller Williams South Park. Deck overlooking the water off the kitchen makes this home a unique and incredible experience. Come see it for yourself! MLS#3488304. Keller Williams Ballantyne Area. Upstairs you will find 2 additional bedrooms, an additional bath and a Huge Loft for hours of entertainment. MLS#3487110. BSI Builder Services. This is one of our most popular floor plans so don't miss out! MLS#3487322. LGI Homes NC LLC. This is one of our most popular floor plans so don't miss out! MLS#3484625. LGI Homes NC LLC. 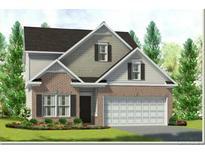 This is one of our most popular floor plans so don't miss out! MLS#3484624. LGI Homes NC LLC. Pictures are representation only and not exact pictures of the listing. MLS#3482269. BSI Builder Services. Pictures are representation only and not exact pictures of listing. MLS#3482303. BSI Builder Services. Pictures are representation only and not exact picture of listing. MLS#3482285. BSI Builder Services. Community Park. Exterior photo is elevation example. MLS#3482163. LGI Homes NC LLC. Community Park. Exterior photo is elevation example. MLS#3482156. LGI Homes NC LLC. Perfect for first time home buyer. MLS#3481779. Langston Realty Group. Pool, clubhouse, and fitness under construction! UPGRADES GALORE!! Fall Move In!! ! MLS#3480851. ElleBee Realty and Associates. Pool, clubhouse, and fitness under construction! UPGRADES GALORE!! Fall Move In!! ! MLS#3480837. ElleBee Realty and Associates. Pool and clubhouse under construction! UPGRADES GALORE!!! FALL MOVE IN!! ! MLS#3480832. ElleBee Realty and Associates. Pool and clubhouse under construction! UPGRADES GALORE!!! FALL MOVE IN!! ! MLS#3480808. ElleBee Realty and Associates. This is one of our most popular floor plans so don't miss out! MLS#3478759. LGI Homes NC LLC. This is one of our most popular floor plans so don't miss out! MLS#3478753. LGI Homes NC LLC. This is one of our most popular floor plans so don't miss out! MLS#3478730. LGI Homes NC LLC. This is one of our most popular floor plans so don't miss out! MLS#3478756. LGI Homes NC LLC.